I did not necessarily expect to like Caroline Fiennes It Ain’t What You Give, It’s the Way You Give It, but I’d rank it among the best in the burgeoning industry of philanthropy how-to literature. I did not expect to like it because, lately, I have had trouble not rolling my eyes when I see the latest press release for yet another book offering donors advice on how to maximize their impact. 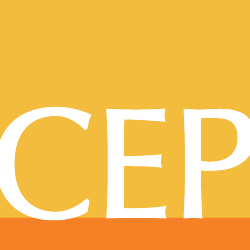 Too many repeat the same essential counsel which, admittedly, isn’t really much different from what we at CEP espouse either: be clear on your goals; devise coherent strategies; implement well; and assess progress. It’s not that any of this advice is wrong. On the contrary, I think it’s right on. Getting foundations to exemplify these qualities is CEP’s focus, after all. Nor is it that philanthropists and major foundations exemplify these qualities in the ways they should. Sadly, many do not. It’s just that much of what is written doesn’t really dive into the difficulty – the real challenge – of doing these things well. The worst are over-reliant on business analogies, glossing over the rather substantial differences between sectors. But Fiennes’ book is refreshing in its specificity and its exploration of the pitfalls that befall so many donors. Like GiveSmart, Tom Tierney and Joel Fleishman’s excellent book, it exposes the illogic of some all-too-common practices, such as refusing to fund overhead or judging nonprofit performance on administrative cost ratios. I was reminded of the cliché that appears in so many reviews of “how-to” books – “this should be ‘required reading’” – but I wanted to find a way to make it a reality: to literally lock new donors (I have some specific ones in mind) in a room and not let them out until they read the book in full! Fiennes, one of the UK’s leading philanthropy experts, is particularly lucid and strong in her advice about measurement. She is a believer in the power of data and rigor, an unapologetic supporter of randomized control trials in the right circumstances. But, unlike many who write on this issue, she acknowledges the complexity. Indeed, she delves deeply and thoughtfully into the difficulties of measurement in a chapter titled “Charities’ Results.” She notes the dangerous temptation to simplify: by measuring what is easy to measure but meaningless; by restricting funding by supporting only program costs; or by retreating into the activities which are simplest to measure. She urges donors to resist – and to embrace the difficult work of measurement. She explores the challenge of attributing results and she exposes the dangers of comparing charities without accounting for factors such as differences of services offered or populations served. She argues powerfully for marrying the quantitative and qualitative, and against the urge to boil things down to a single metric or ratio. To me, the chapter on measurement was by far the strongest chapter in a strong book, and essential for those who don’t fully appreciate how much harder assessment is in philanthropy than in business. She uses numerous examples, both real and hypothetical, to illustrate how an organization with higher administrative expenses could be producing much better outcomes than another organization with the same total budget but lower “administrative” costs. She argues that it is, of course, the outcomes that matter. “Effectiveness turns out to be pretty independent of efficiency,” she argues. If only this argument could carry the day in the face of the charity rating organizations and media who continue to act as if nonprofits should be run only by volunteers with no training, no equipment, and no spending on assessment to know if their work is making a difference – not to mention any spending (gasp) on fundraising. I applaud Fiennes for taking this on so forcefully, and for not mincing words. Fiennes is at her best in these kinds of arguments against common practices that she regards as – and typically is able to show to be – counterproductive or outright stupid. She is relentlessly logical in her approach. For example, she takes on donors’ desire to restrict their gifts with four arguments: “(1) it prevents charities from responding to changes in needs or situations, removing the flexibility which can be literally vital … (2) it disempowers the management … (3) donors generally all want to fund the same bits of an organization: the most visible, glamorous, front-line activities and projects… (4) it’s a nonsense which just sets up an expensive circus.” For each point, Fiennes offers her proof, calling on logic and evidence, like a prosecutor making her closing arguments. If that kind of logical argument is the book at its best, the book is at its weakest when it rehashes frameworks of others – mostly management consultants – uncritically. This tendency is most evident in the chapter on corporate philanthropy, which is a rehash of others’ assertions about what good corporate philanthropy is (hint, it needs to be good for the company’s bottom line) – and an oddly thin and uncritical one at that. In an effort to be comprehensive, her book feels at times uneven; she would have been better off covering less ground more thoroughly. In the end, though, these are quibbles with what is otherwise an excellent book. Fiennes’ voice is fresh and forceful and her book is an important contribution. Although many of her examples are drawn from the UK, it is just as relevant for those in the U.S. I’d recommend it not just for donors but also for foundation program staff, especially those new to their roles. Phil Buchanan is President of the Center for Effective Philanthropy. You can find him on Twitter @pbuchanan_CEP.